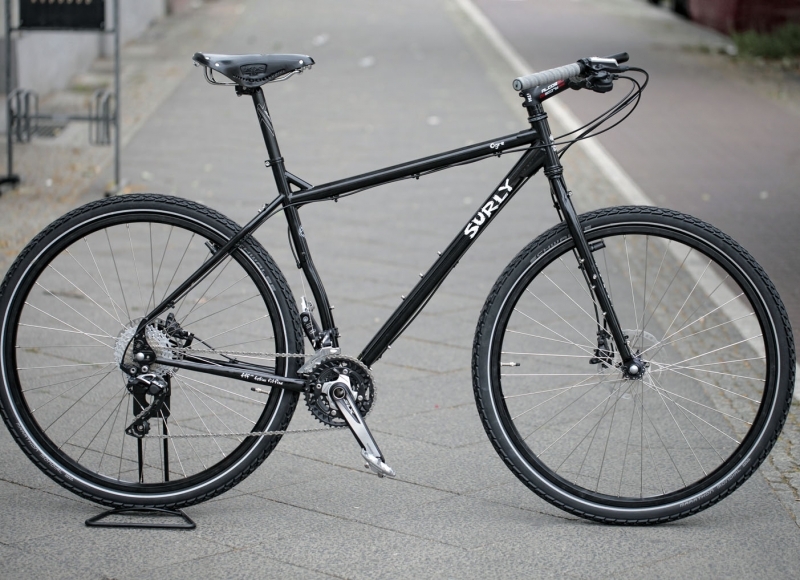 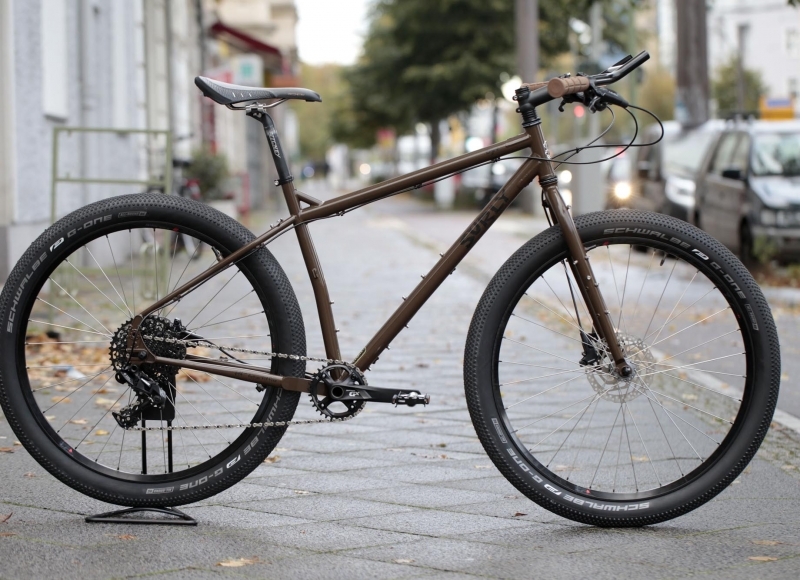 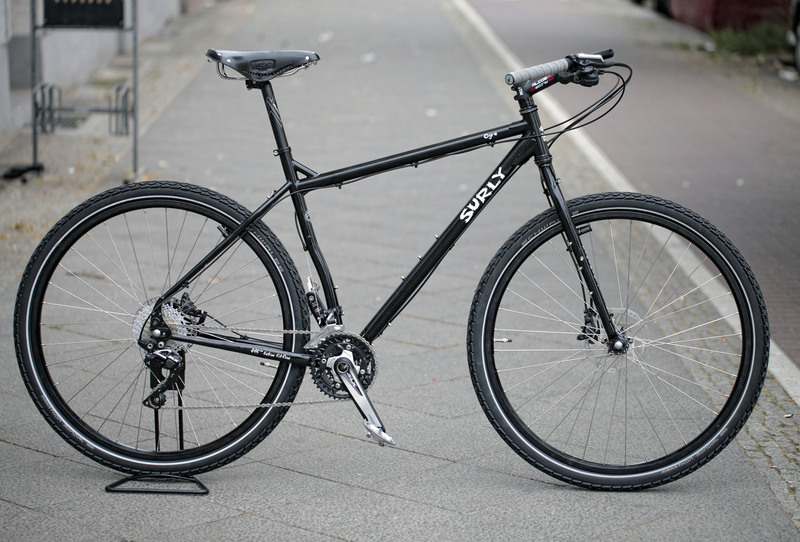 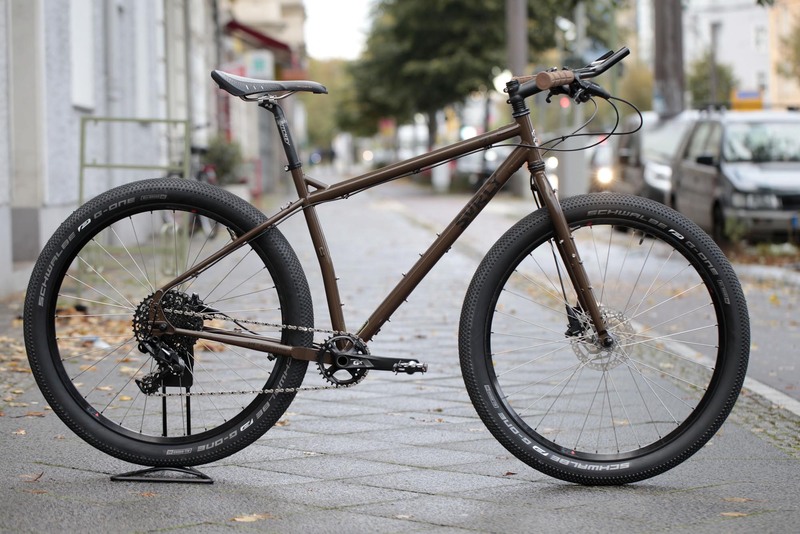 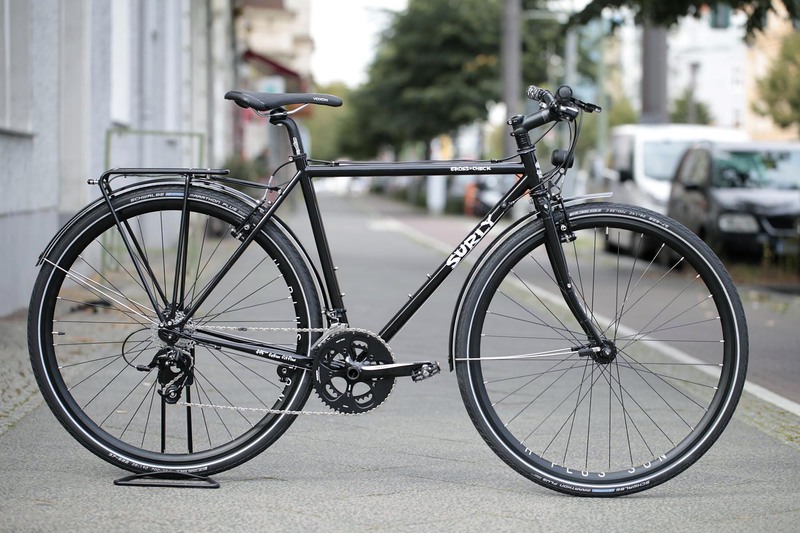 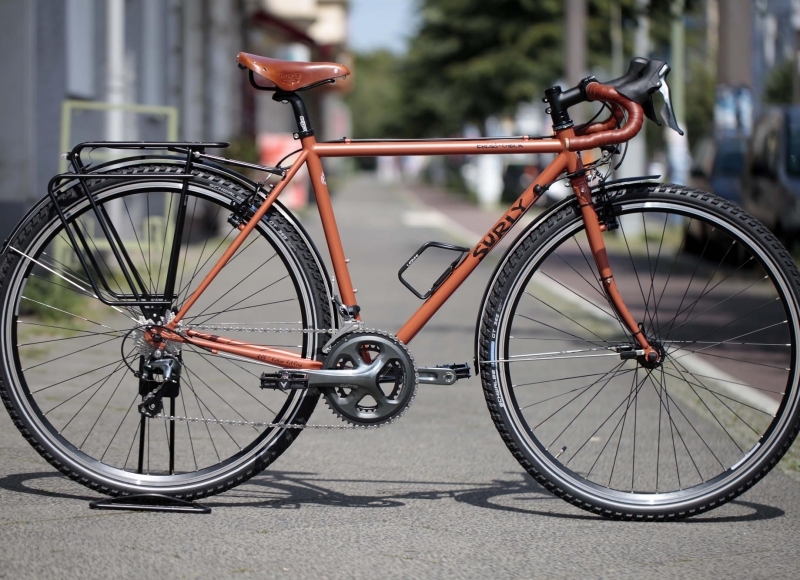 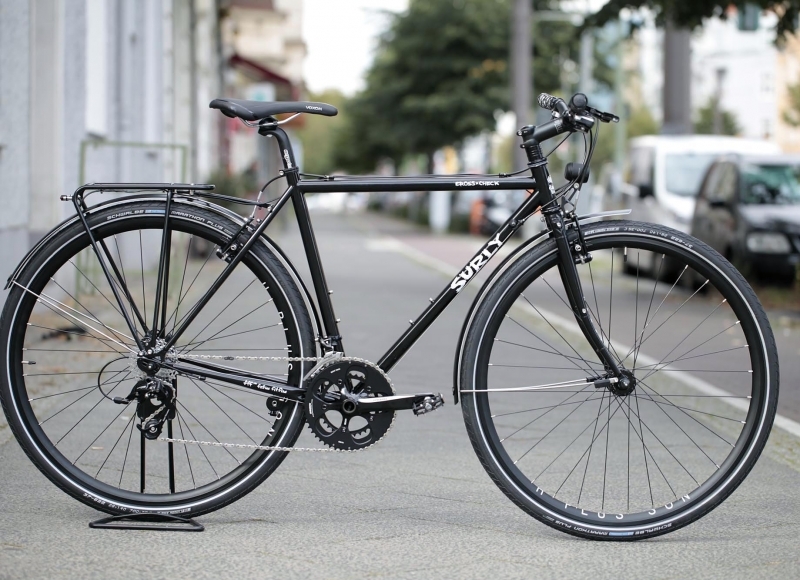 Surly’s bike are big fun and more important are versatile machines. 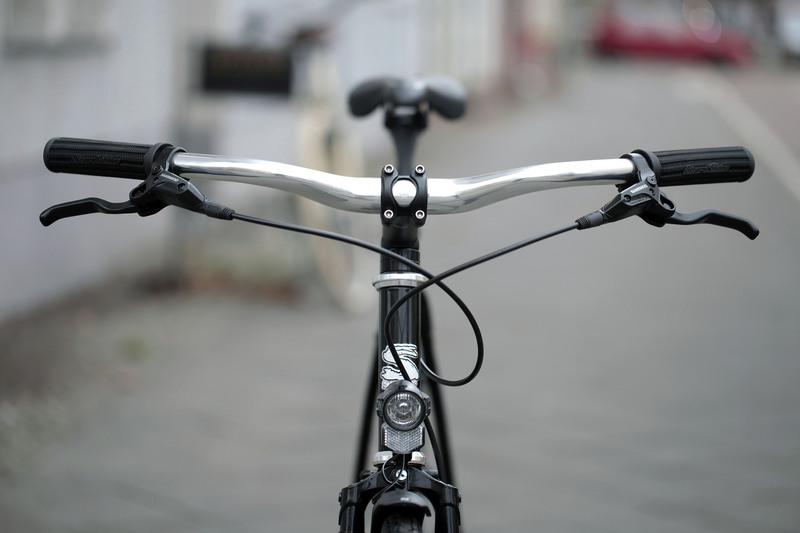 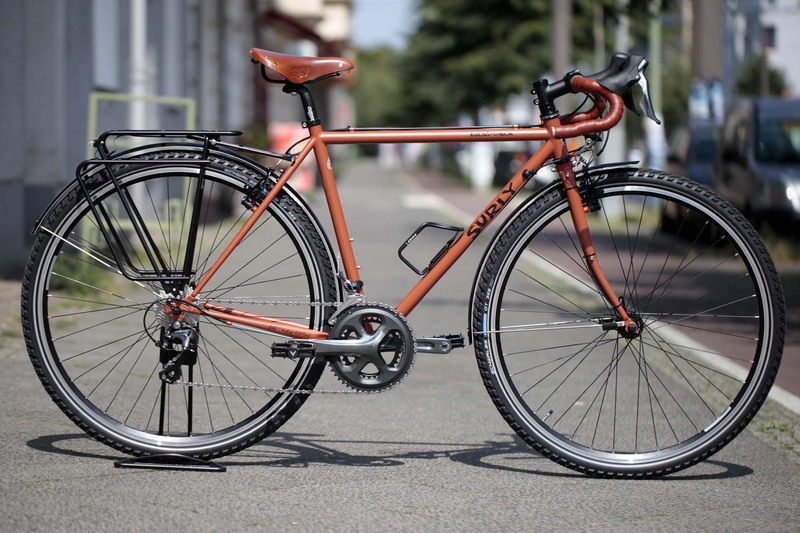 You can build the same frame in may different ways given your needs or personal tastes. 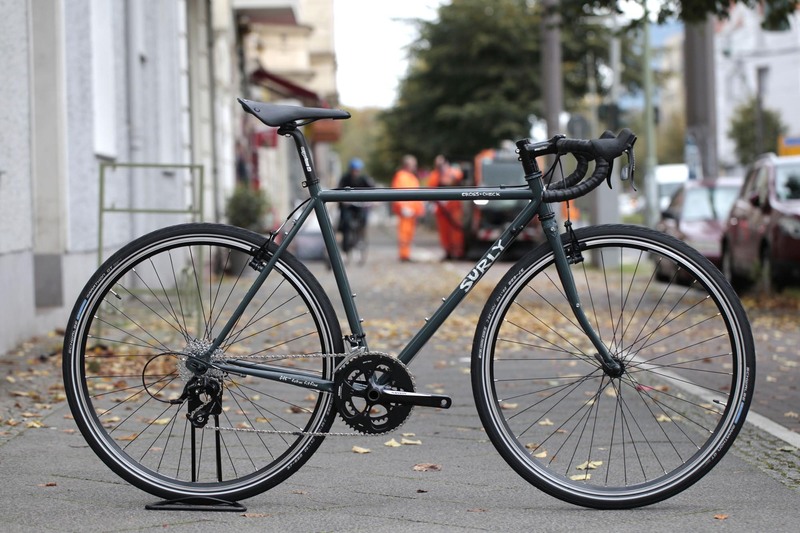 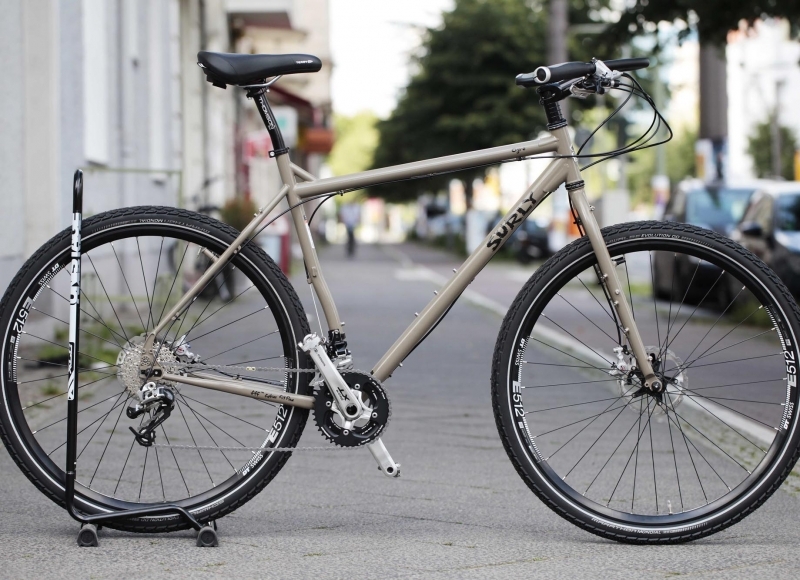 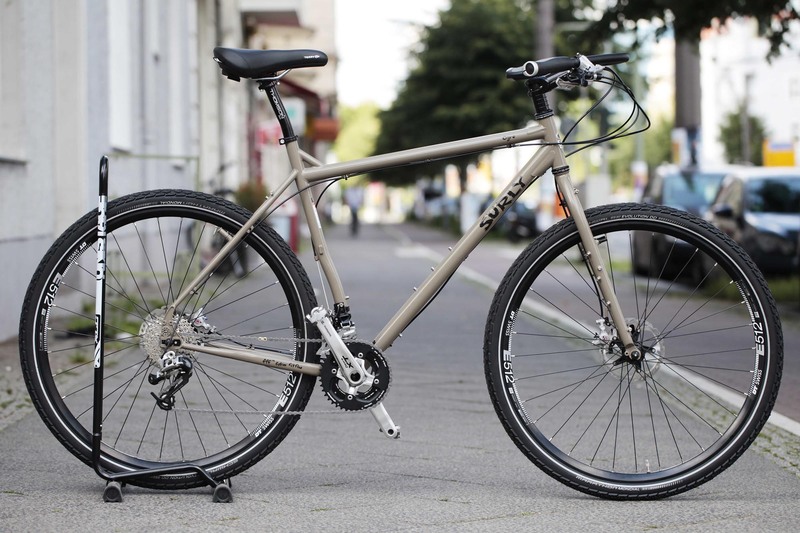 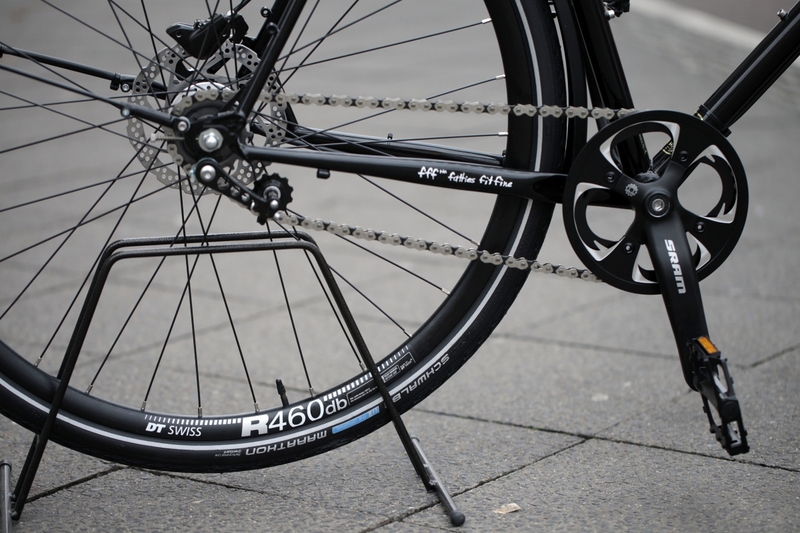 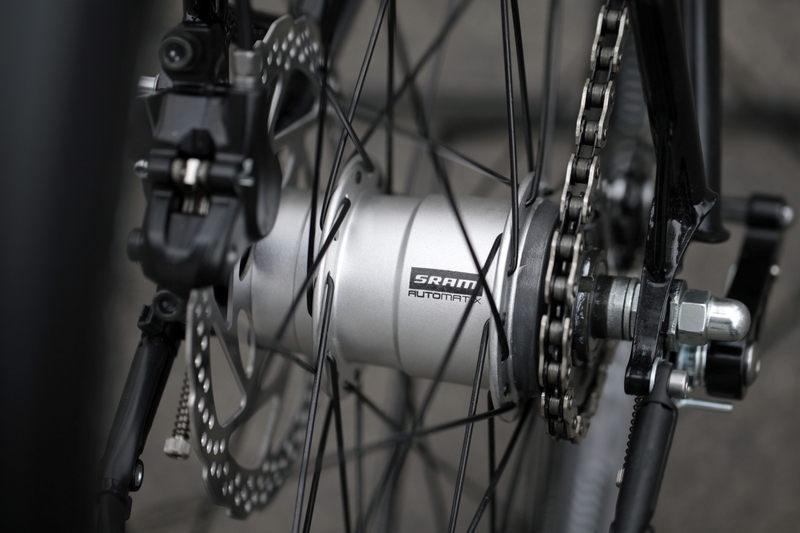 This Straggler is no exception, sturdy and agile it’s equipped with the last version of the Sram Automatix hub for disc brake and a Shutter Precision dynamo hub. 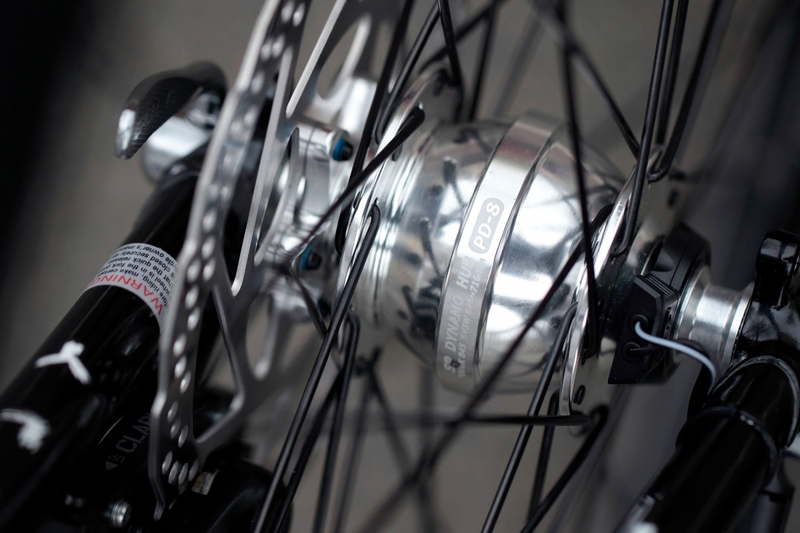 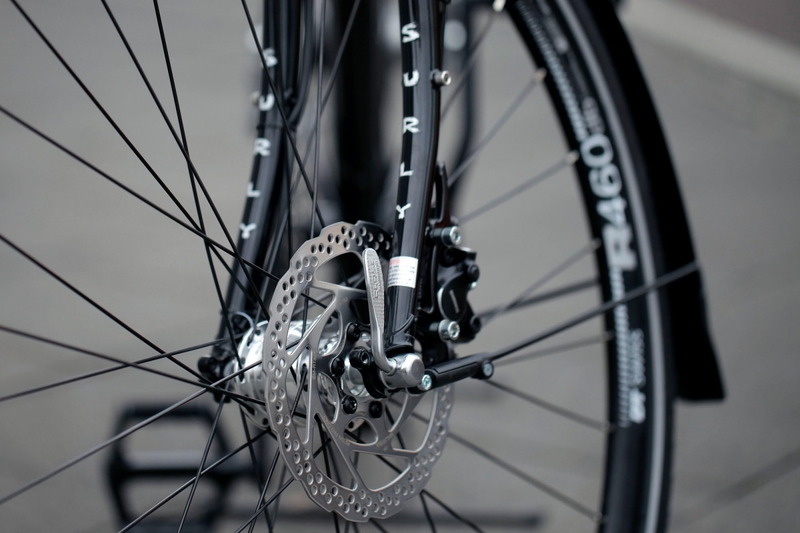 A chain tensioner will prevent readjusting the rear brake once the the chain start stretching a bit. 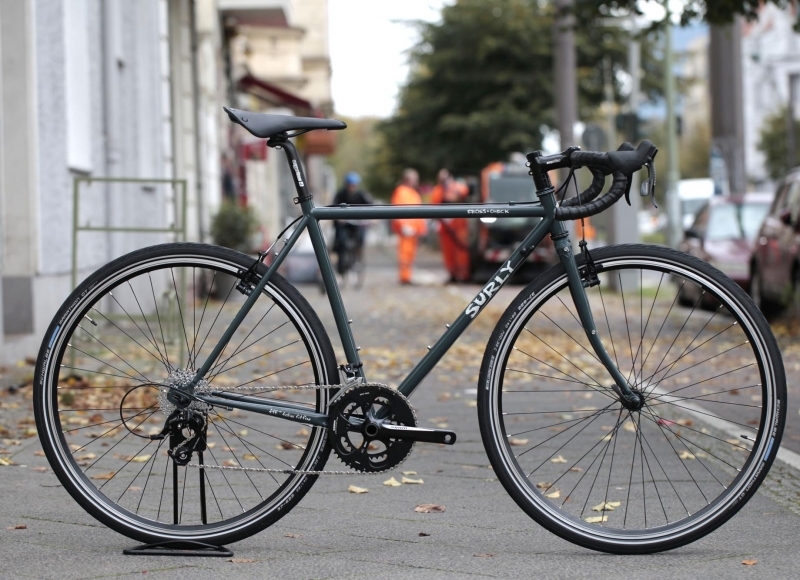 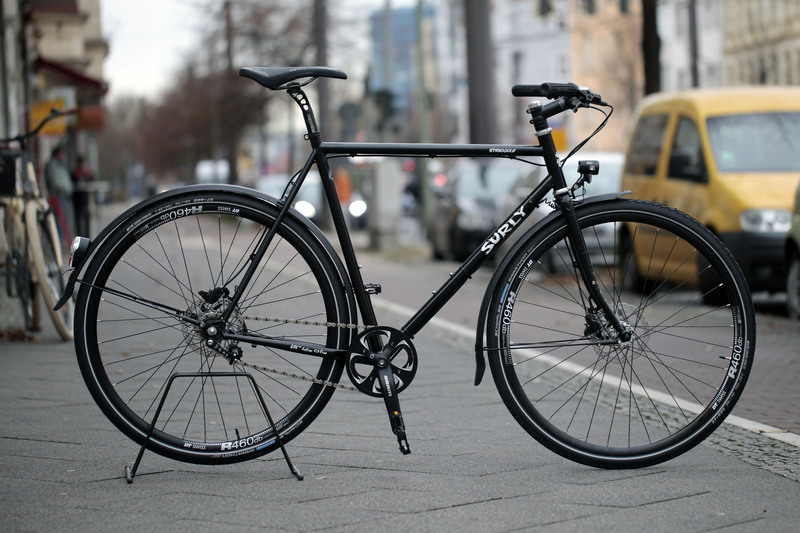 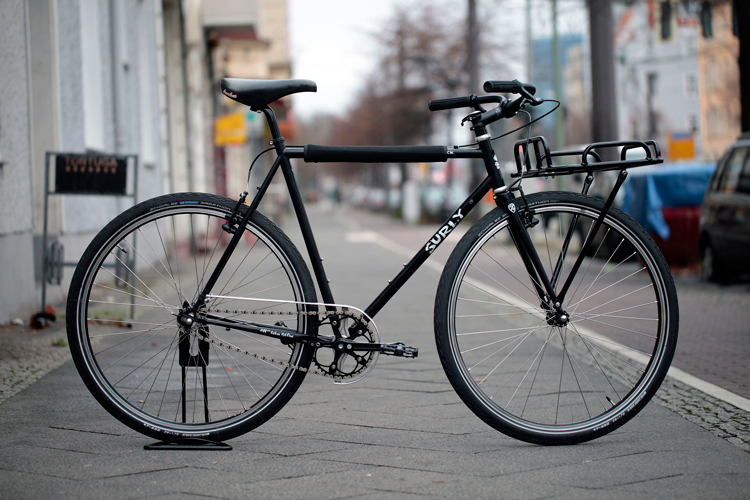 Clean and solid, it’s a great commuter for Berlin.